I loved Ready Player One! Steven Spielberg's dazzling and entertaining trip to the past and the future is one of the best popcorn films I've seen in years. It's a thrilling, visually breathtaking roller coaster ride with colorful characters, a wonderful and engaging story and a truthful message at the center of it all. It's a world built and fleshed out beautifully by Spielberg, and by the end you'll wish you were able to be part of the fun. This is, in my opinion, Spielberg's best film in over a decade. This is no ordinary sci-fi movie. It has the humor that all successful action flicks out there, and a clear message all melodramas had. I enjoyed this film not because of the graphics and the whole idea of a virtual reality. I enjoyed it because of all the pop culture I can relate to were introduced not in a cheap or mocking way. The irony is, it is a movie marketed and appeared to be appealing to the younger generation who may not have a single idea of all, or at least most, of the references. Clumsy writing, an excess of pointless exposition, and a distractingly overpacked visual field made me yearn for the simpler, more elegant pleasures of the original Tron. No need to say I was thrilled. He gave us a place to go. A place called � THE OASIS. Ready Player One is set and good to go! Steven Spielberg pays homage to a genre he helped to create in this rollicking and visually dazzling blockbuster adventure. In the near future, a disillusioned human populace retreats to an infinite virtual reality called the OASIS. Inside this digital world, people use their unique avatars to hunt for clues to a huge fortune left by the deceased inventor of OASIS. 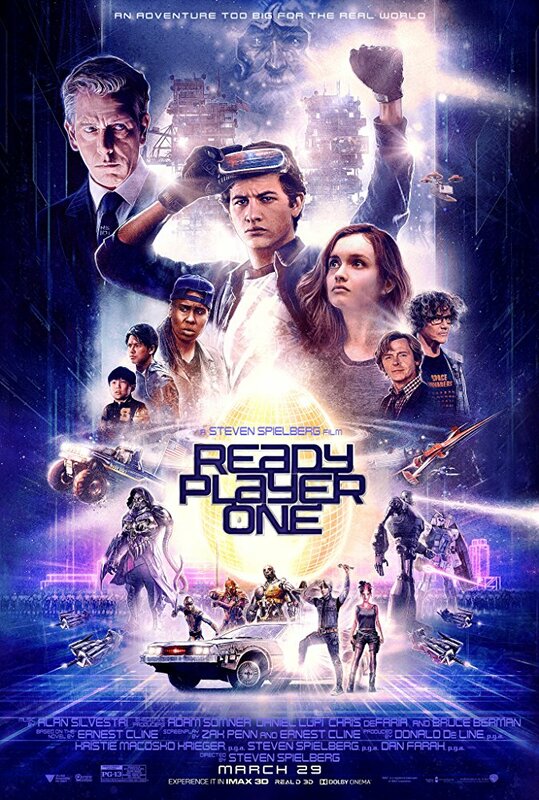 One of these players is Wade Watts aka Parsifal (Tye Sheridan) who teams up with a motley crew of gamers in a race against an unscrupulous industrialist (Ben Mendelsohn) for the prize of winning the game and beating OASIS. I knew after reading Ernest Cline's novel, that this love-letter to 80s pop culture was going to be headed to the big screen. What better choice, then, for director than an 80s icon himself, Steven Spielberg. While both the book and film have their issues, Spielberg puts his own spin on things, expanding the story and references and delivering a film worthy of watching again and again - if only because you'll never find everything the first time around. No posts have been made on this movie yet. Be the first to start talking about Ready Player One!